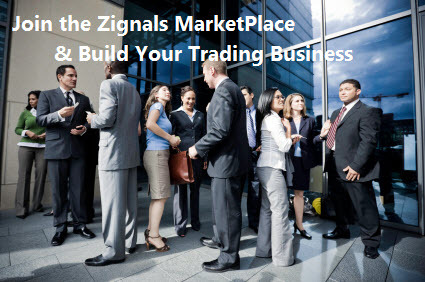 The Zignals Trading System Builder is unique as a strategy builder in that positions are entered using technical signals but exited using a risk managment system designed around fixed percentile target/stops or trailing target/stops. The type of risk management employed will in large part be dictated by the volatility (beta) of the component stocks/ETFs/FX pairs in the trading system. In my first article I looked at how to build a Trading Strategy using default risk management settings. In this article I will look to adjust the risk management options, while trying not to 'best fit' for the outputs. 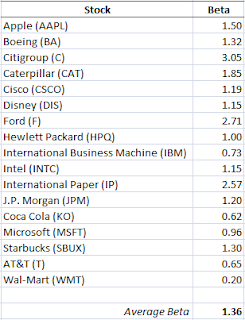 With an average Beta of 1.36 our list of stocks is slightly more volatile than the underlying market, with a range of 0.2 up to 3.05. The values we will be adjusting are the Stop Conditions; Money Management is unchanged from the original. How do the Stop Conditions work? The Target Percentage sets the conditions at which the Trail Target/Stop kicks in. The Stop Percentage is the opening risk for the trade, assuming the Trail fails to kick in. 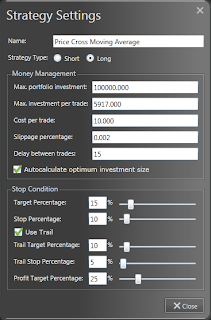 Once the Target Percentage is hit the Trail Target and Stop becomes the new exit rules. As each Trailing Target is hit the Trailing Stop is updated. If at any point the Trailing Stop is hit then the position is exited. The Trailing Target continues until the Profit Target is hit - then the position is exited once and for all. Our back test period is from 24th Nov 2007 to 23rd Nov 2009. As we adjusted the Stop Price we got a drop in the win percentage but booked more profit. Because of the close-to-market Beta of our component stocks there was still a relatively strong return with a tight stop of 4%. If we focus on the 6% stop and adjusted the Target (the price at which the Trailing prices kicked in) then there was a radical improvement in the percentage of profitable trades. Simply dropping the Target price from 15% to 10% brought a substantial increase in the percentage of profitable trades and percentage profit. Leaving the Trailing Target and Stop unchanged and increasing the Profit Target made modest improvements up to a ceiling imposed by the back test period. At this point it was a matter of going back to the start and looking at our opening Stop Percentage. As we had used an optimised value of 6%, how would the strategy have performed if we used stop values of either 5% or 10%? 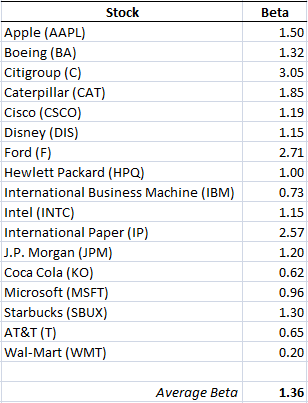 Dropping the stop another percentage point didn't lose any of the 31% return for the past 2 years (long only). Increasing the Stop to 10% gave the strategy a little more breathing room which increased the percentage of profitable trades (on fewer trades) - although there was a slight drop in net profit. From the point of strategy development; the 10% Stop, 10% Target, 10% Trail Target, 5% Trail Stop and 25% (or 50%?) Profit Target is perhaps a good starting point to build around. In terms of net return, the largest impacts came from adjustments in the initial Target and Stop values versus changes in the Trailing Stop and Target. But the best way to find out is to start building your own trading systems. Don't forget to publish your winning trading strategy into our MarketPlace for a chance to earn real money.